What is Project Management? Software project management circumscribes the expertise, procedures, and tools necessary to manage the development of the products. Project Management is a method of managing, designating & clocking the resources to accomplish the software development obligations. In Project Management software projects are planned, executed, controlled and regulated. 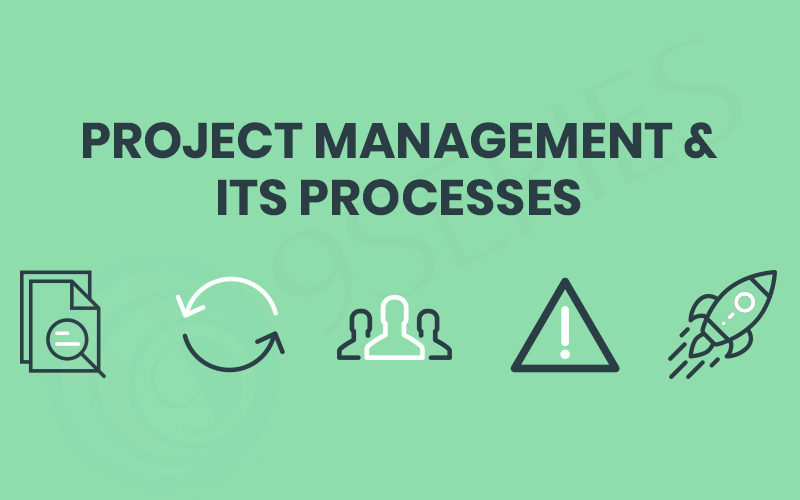 A Software project management process encompasses of Requirement Management, Change Management, Resource Management, Risk Management, Release Management. Let’s take a closer look at each of the processes that a software development company will follow for successful completion of their projects. Software Project Management Processes ~ Requirements Management Requirements management is the process of analyzing, identifying, documenting, prioritizing and agreeing on requirements and then managing change and communicating to the client. Requirement analysis is an important part of software management process where business analyst or project team member identify the requirement of client & converts it to requirement document which should match client’s expectations & allows the development team to design a solution. ~ Change Management Change management is the process of analyzing, identifying, documenting, prioritizing and agreeing on changes to scope defined in the requirement document and then controlling changes and communicating to the client. Once a change is identified & analyzed, business analyst or project team member prepares change request document & need to send it to the client for approval. Each change can impact the timeline & budget of the project, So change request document must include impact analysis before approval. ~ Resource Management In project management, resources are required to work on the project tasks. Resource scheduling must be done for the successful execution of the project. Based on project plan & timeline project manager decides the allocation of the resources. At the time of resource allocation, must decide the priority of project tasks & need to finalize resources for all project tasks. Allocation & deallocation of the resources can be done during the execution of the project & it should be based on the priority of project tasks. ~ Risk Management Risk management is the process of measuring & defining strategies to manage the risk. Risk management includes cost & benefits analysis, avoiding the risk, reducing the negative effect of the risk and accepting some or all the consequences of a risk. For each risk, must define a plan to overcome the risk. The outcome of the few risks will have a positive, rather than a negative impact & such risks can be defined as an opportunity. ~ Release Management Release management is the process of identifying, documenting, prioritizing and agreeing on releases of software and then controlling the release schedule and communicating to the client. Software project release can be done at the defined interval or in one go. It depends on the size of the projects & client’s expectation. After completion of development, unit testing, integration testing must be done, After that need to release it to the client for User acceptance testing (UAT). Release management also includes the process of deployment of the software product on the client’s hosting environment. Conclusion This is the basic introduction of software project management. In the upcoming blogs, we will go in more details and share more details like what tools & techniques 9Series uses as a software development company for project management.